Seldom available! 2 bedroom plus small den, 2 1/2 bath, 2 balconies. Everywhere you look is an amazing view of sky, mountains and Denver! Watch the sunrises, moonrises and rainbows.. The scene just keeps changing! Extra tall ceilings and doorways, the windows are even taller! There is a wonderful sense of space throughout this special home. Updated gourmet kitchen with soapstone counters, Wolf vent, Subzero refrigerator, gas range..... the list goes on. 2 parking spaces. 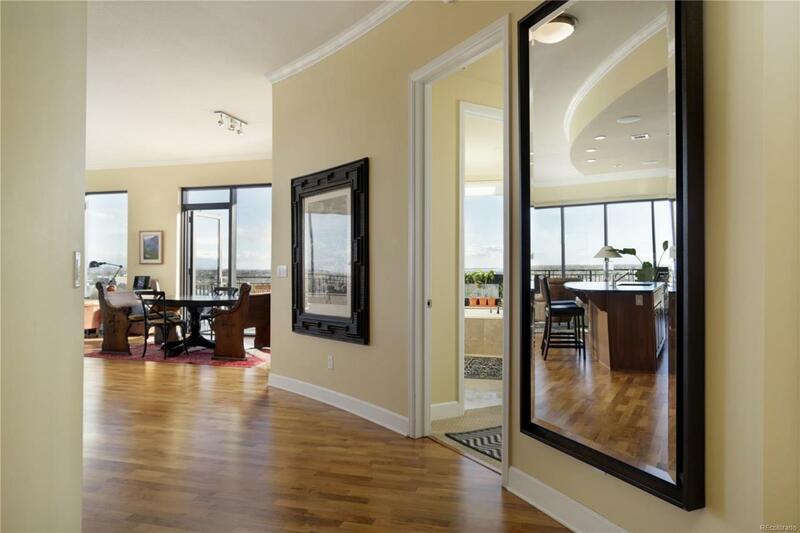 This is a must see home in the highly coveted Pinnacle at City Park South. Walk to top rated restaurants and shops. 2 blocks to new Denver rec center! City Park, Denver Zoo and Museum of Nature and Science are across the street. 10 min drive to downtown, Cherry Creek and light rail. Enjoy the luxury living of the Pinnacle with heated outdoor pool, hot tub and firepit. Fully equipped workout center, sauna, 3 elegant party rooms, 2 guest suites and the list goes on!! Come Home and Enjoy! !